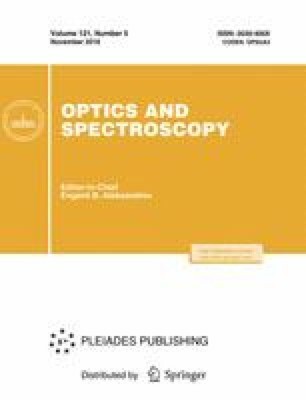 We have studied the IR polarized reflection spectra of LiCaAlF6 crystal in the range of 50–2000 cm–1 and have obtained parameters of dipole phonons. In order to calculate the electronic and vibrational properties of the crystal, we have applied the density functional method with the basis sets of Gaussian functions and plane waves. We have shown that the structure of electronic bands has a direct energy gap. The projected densities of electronic states of atoms, the Born effective charges, and the Mulliken populations have been found to be consistent with the ionic–covalent character of cation–fluorine interatomic bonds. The dielectric properties in high and low-frequency limits have been calculated. We have examined the longitudinal–transverse splitting of dipole modes and have revealed a phonon with an inverted splitting. The theoretical IR reflection and Raman spectra have been found to agree well with experiment. Based on the analysis of the dispersion of phonons in the Brillouin zone, we have revealed an effect of the “quasi-doubling” of the crystal cell along the z axis due to the competing interactions of atoms with nearest and next neighbors. We have found that phonons with frequencies higher than 500 cm–1 are separated by an energy gap and have predominantly stretching character of vibrations. Original Russian Text © S.A. Klimin, B.N. Mavrin, N.N. Novikova, 2016, published in Optika i Spektroskopiya, 2016, Vol. 121, No. 5, pp. 748–756.